So you want to get a Credit Card! Apply for a Credit Card. Why do you need a credit card? A Credit Card helps you pay for things when you do not have the cash to pay for them. It also basically allows you to pay for things over time instead of all at once. 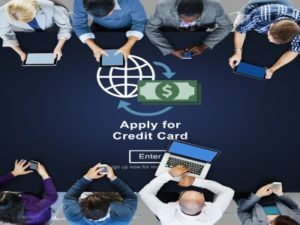 Credit Cards are great if you want it all and you want it now! Credit Cards are also a great way to establish credit. People with good credit demonstrate that they will put their debts first and at least make the minimum monthly payment towards their debt. I can say that paying the monthly minimum is good for your credit but not always good for your wallet. Why you ask? Let’s say your Credit Card comes with a 20% interest rate and in the first six months you rack up a $2400 balance on your new Credit Card. At 20% the first $40 of each payment you make is eaten up by interest and if your minimum payment is less than that and that’s all your making your going downhill quick. If you care about your credit then credit cards are a great way to build your credit but like most things in life you need discipline. For your larger purchases you really do not want any longer then 12 months total to pay it off or the interest will simply be too much. For smaller purchases you really need to try to pay them off monthly with no interest but if that’s not possible then at least try to pay it all off in 6 months.